Seahorses are one of the most interesting animals in the world, let alone in the sea. The males are the ones that get pregnant and take care of the babies, instead of the other way around like every other animal. How crazy is that? 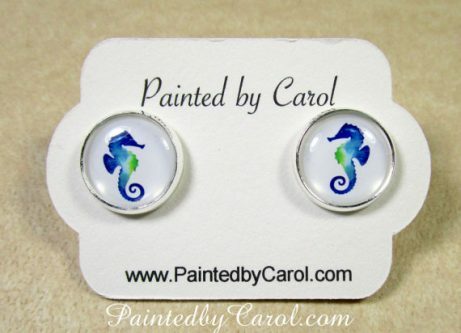 If you know someone who is a fan of seahorses, they would almost certainly appreciate a gift for their special occasion that has something to do with the animal. Check out some of these ideas below! 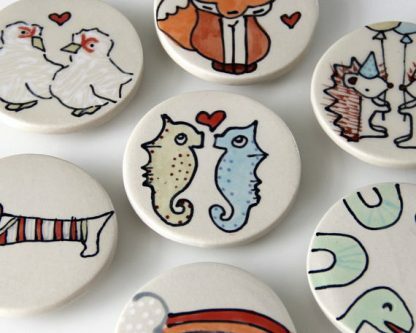 Click here for more gift ideas for animal lovers – above and below the sea. This figurine will look great virtually anywhere, whether that’s on their bookshelves, dresser, nightstand, or wherever else they decide to put it! This personalized seahorse coffee mug will make drinking their morning coffee much more fun and individualized. 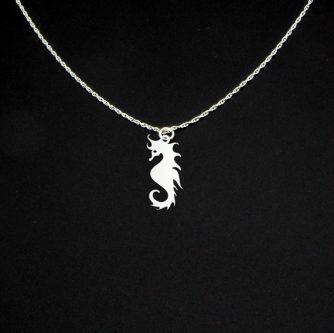 They can wear their seahorse necklace with any outfit of their choosing, whether it be a special outing or just running errands. Help them keep their wine fresh and free from spills with a glass blue seahorse wine bottle stopper. Along with the seahorse necklace, they can wear seahorse earrings and be fully outfitted for their special outing or everyday duties. 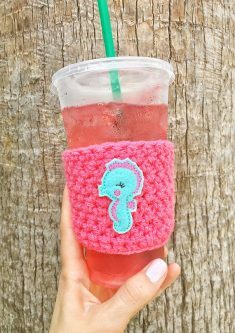 This seahorse cup sleeve will protect their hands from the hot coffee cup scalding them. 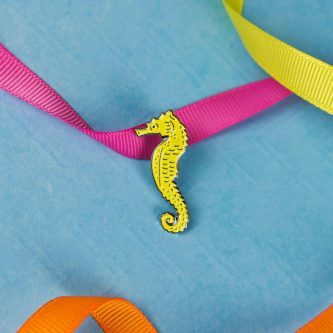 Whether they go anywhere special that they can wear pins to or not, they will have something to give their clothes flair that shows how much they love seahorses. 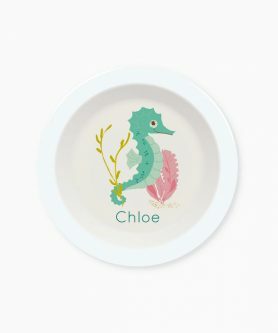 For that special kid who has a passion for seahorses, a seahorse bowl personalized with their name will be extra special. They may eat healthier foods just to get to the bottom of the bowl and see their name again. 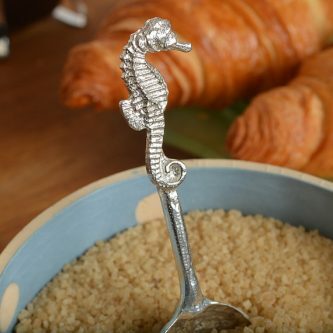 Anyone who drinks coffee or tea, likely uses a spoon to scoop sugar into their drink or to stir their drink, and what better way to do that than with a seahorse sugar spoon. As most of us know, life is always better at the beach. So much so that we often dream about it on a daily basis. Your seahorse loving friend will love this seahorse wine glass with this phrase on it. Help them be more economical in their shopping, while also sharing their love of seahorses, with a reusable seahorse shopping bag! 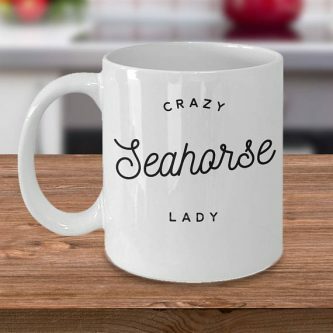 Your friend is the definition of “crazy seahorse lady” and will find this coffee mug perfect for her morning coffee. 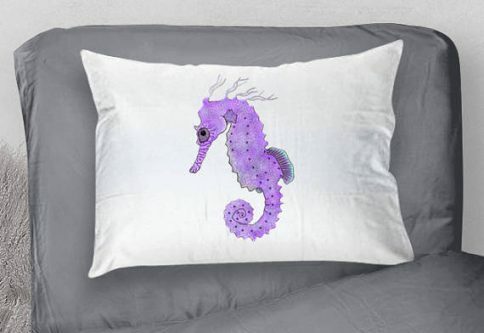 Give their bed a seahorse accent with a seahorse pillowcase, or two! Is the seahorse your friend’s spirit animal? If they relate to the seahorse, or simply love seahorses’ characteristics, this “Seahorses are my spirit animal” shirt will make the perfect addition to their wardrobe. Keep the seahorse loving kiddo in your life safe with a seahorse puddle jumper. It allows them to play in the pool without as much parental worry. Give them the gift of discovery with this Under the Sea DVD box set. It will certainly give them hours of entertainment and learning material. Seahorse shower curtains make the perfect addition to anyone’s shower, whether they love the animal or not, but it will be extra special for that seahorse lover in your life. Handmade seahorse magnets are both handy and unique! 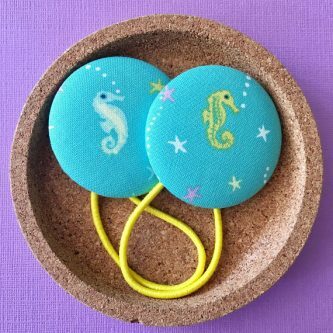 Aid them in keeping their hair out of their eyes with seahorse hair clips, making it easy, convenient, and beautiful all at the same time! The seahorse hanging toiletry bag is super useful for vacations, work trips, and much more.